CARP seeks to raise up students to be global citizens. We believe that one way to do that is through experiencing another country’s culture and meeting with fellow students in that country. CARP America was delighted to help host numerous students from abroad during their stay in America. 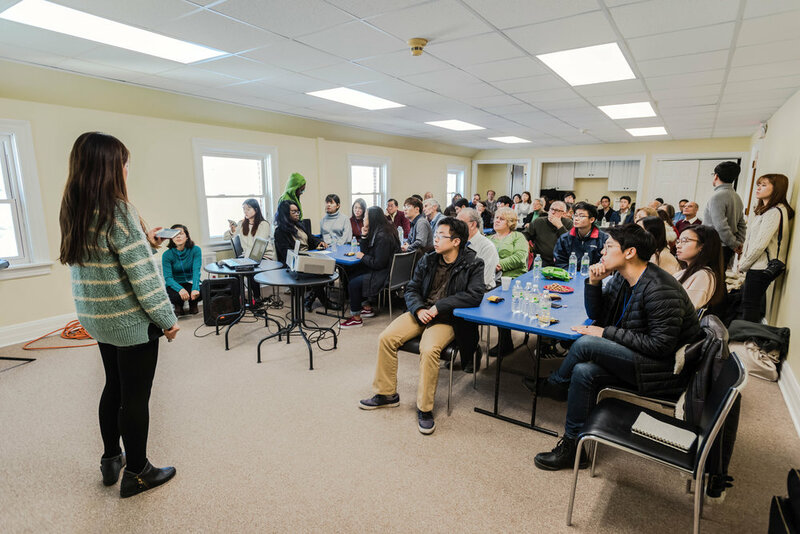 Sixteen Korean students from the Sunhak Elite Scholarship Program visited America for 10 days from January 5-14 as part of their “2017 Winter Sunhak Academic Camp”. The Sunhak Elite Scholarship, founded by the Wonmo Pyeongae Foundation, is awarded to model students who have shown excellent academic records and good moral character. In front of the United Nations (UN) General Assembly hall at the UN Headquarters, New York City. 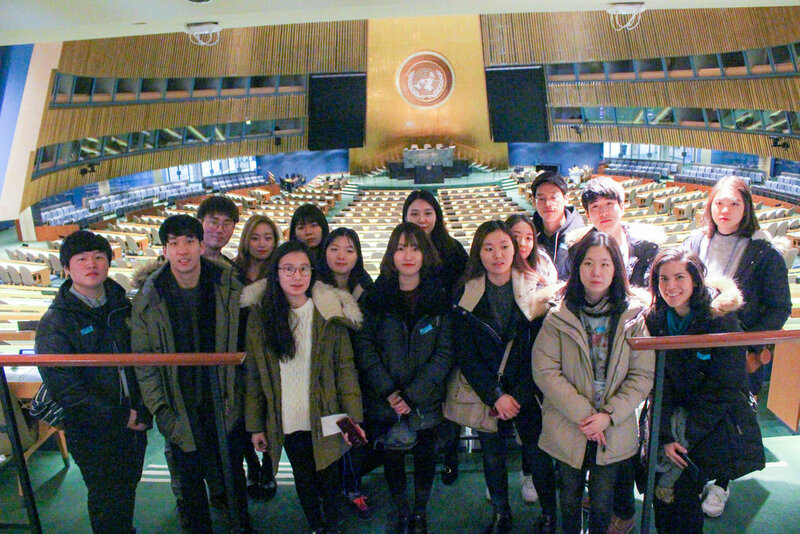 The theme for this year’s winter camp was “The United Nations and World Peace.” The Wonmo Foundation hopes that through this trip to America, students will be able to better understand the UN and the foundation and the activities of Father and Mother Moon, promote networking among future global leaders, and provide an opportunity for Korean students to meet and discuss various issues with American students. 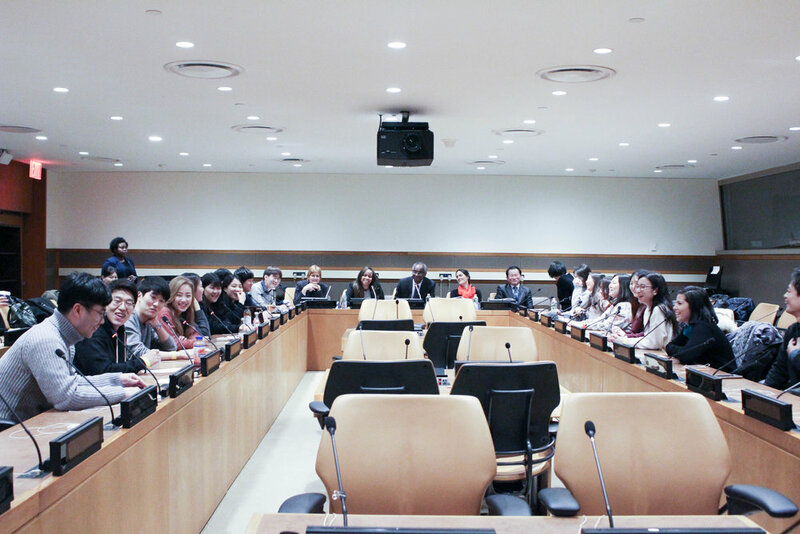 First, the students toured the United Nations building in New York and then sat down to meet with Keisha A. McGuire, the Ambassador of Grenada to the United Nations, a representative from the International Organization for Migration (IOM) and a representative from Unification Peace Federation (UPF) to talk about the ongoing refugee crisis. Students engaging in a discussion on the Refugee Crisis with the Ambassador of Grenada to the United Nations and a representative from the IOM. The students also visited East Garden and Belvedere where Father Moon and his family lived during their time in America. They then went down to Washington DC to visit The Washington Times, the National Monument, and Abraham Lincoln Memorial Hall. 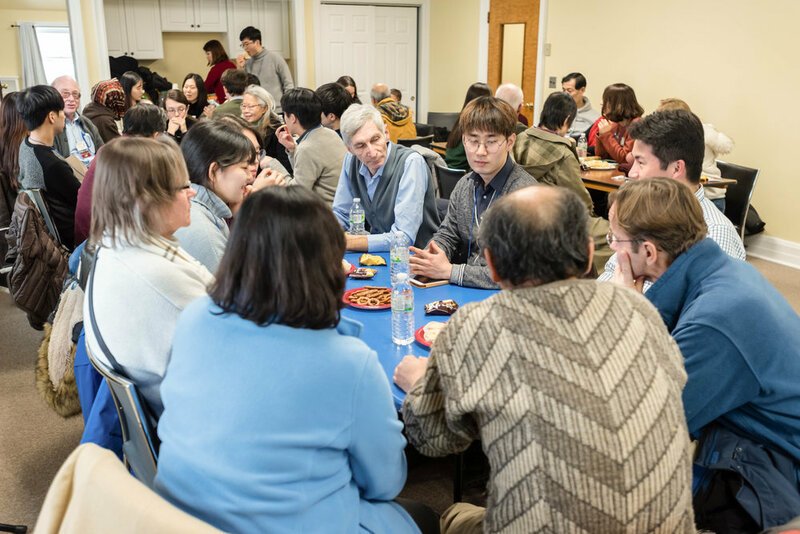 Finally, the highlight of their stay: they gathered at the Clifton Family Church to hold a seminar on the role of the UN in the refugee crisis and the reunification of North and South Korea. A total of 40 people came out to listen to the three presentations prepared by the Korean teams. The Korean students seemed nervous at first, having to present in English, and not their native language. However, they did an excellent job of presenting the content that they prepared so diligently. One of the Korean students presenting on the Role of the UN in the Refugee Crisis. Everyone was impressed by the quality of the presentations. After each presentation, there was time for questions and then a 30-minute discussion in groups. 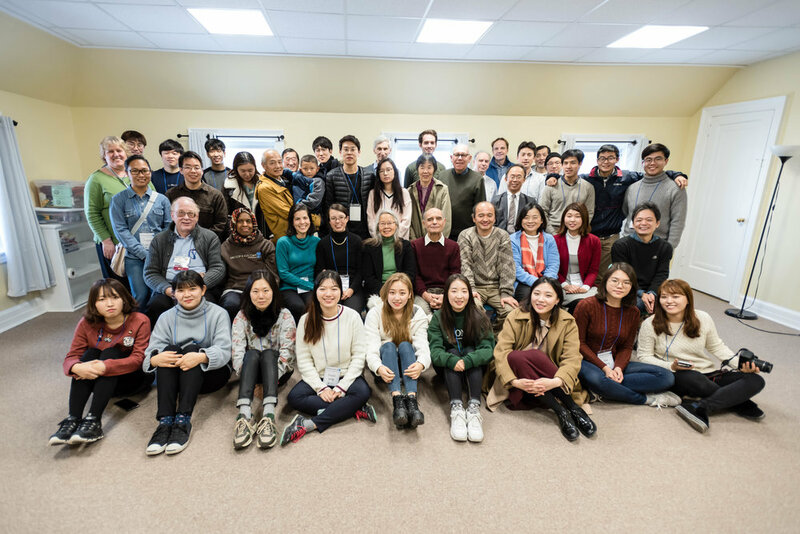 It was a great opportunity for participants from America and Korea to share their opinions and perspectives and gain a deeper and broader understanding on these issues. Students and adult participants engage in enlightening discussions after the presentations. All the participants who attended the seminar at the Clifton Family Church in NJ. A few days ago, we welcomed another group – six CARP Korea student leaders – who came to do a similar pilgrimage by visiting all the places that Father Moon invested in during his stay in America. On the first day, they met a few of the CARP America staff members. They also had a chance to meet and get to know fellow CARP students in Boston and Bridgeport. CARP America and FFWPU staff welcomes CARP Korea at the FFWPU Headquarters in Manhattan, NY. We hope that these are the first of many such trips to America. We are glad to help in hosting students from other countries visiting America for tours, pilgrimages, exchange programs, and training sessions.